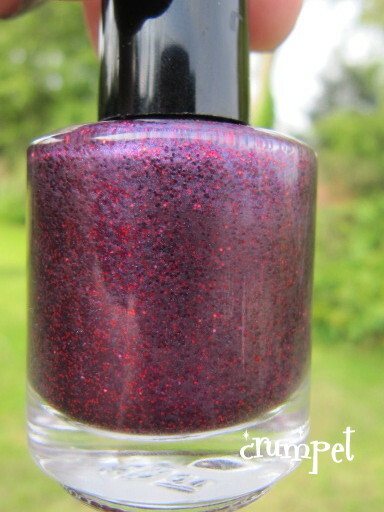 Up close, it's one of those super gritty new polishes which is basically a kilogram of microglitter squeezed into a teaspoon of base. This means it takes 3 coats for opacity, can look a bit threadbare around the edges, and doesn't always spread quite the way you want it to. 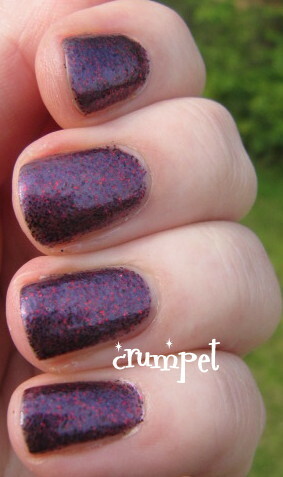 It's an arresting colour combo though, browned off purple and red, and they clash and match perfectly. And this is what I mean about from a distance - the further away your hand is, the more those colours meld and collide, echo and merge. The grittiness gets lost in a blur of purple that fizzes with light, and is really, really quite beautiful. 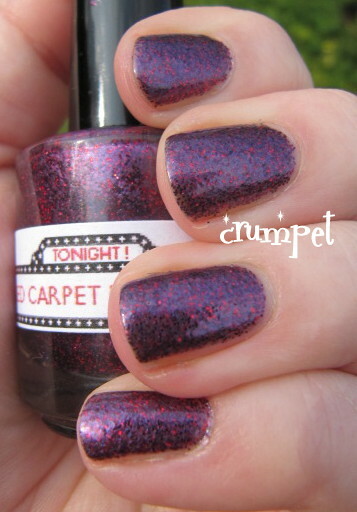 Red Carpet Lacquers is also the maker of one of my favourite polishes of all time, Oz, Not Kansas. If you haven't checked her out yet, you can stalk her here on Etsy or here on Facebook.